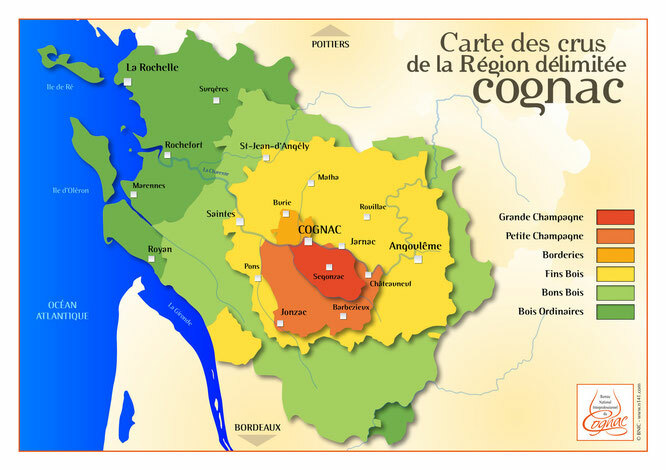 Cognac is produced in the South West of France, North of Bordeaux, near the Atlantic Ocean. There are 6 official areas of Appellation: Grande Champagne, also known as the 1st Cru; Petite Champagne; Borderies; Fins Bois; Bons Bois; and Bos Ordinaires. The soil in the region is mostly chalky. Cognac is made from 98% Ugni Blanc grapes. 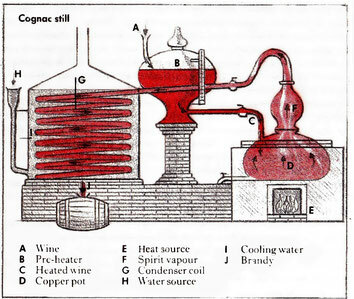 Double distillation in a Charentais still is mandated. 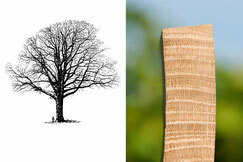 Limousin oak is used for its tannins and vanilla. The harvested grapes are pressed and the juice is left to ferment, giving a wine that is low in alcohol, but high in acidity. The wine is then distilled twice: at the end of the first pass, the distilled spirit will be 30% alcohol; at the end of the second pass, the distilled spirit will be 70% alcohol. It is then put in wood for ageing and later on will be blended and reduced with distilled water to about 40% alcohol.